Aerosmith knows it's important for you to install your gypsum board quickly without breaking the paper. Our VersaPin® ST4200 fastening tool was designed with that in mind and features a depth of drive adjustment. 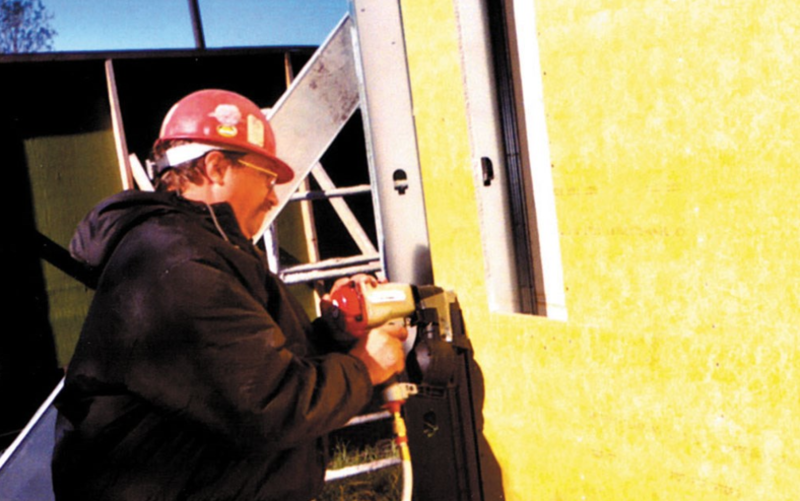 Yellow board, green board, whatever Exterior Gypsum you use can all be installed using Aerosmith's VersaPin® fasteners and tools. Saves time – money & Manpower! Control ‘depth of drive’ for a quality, code accepted installation – fewer call backs if any! 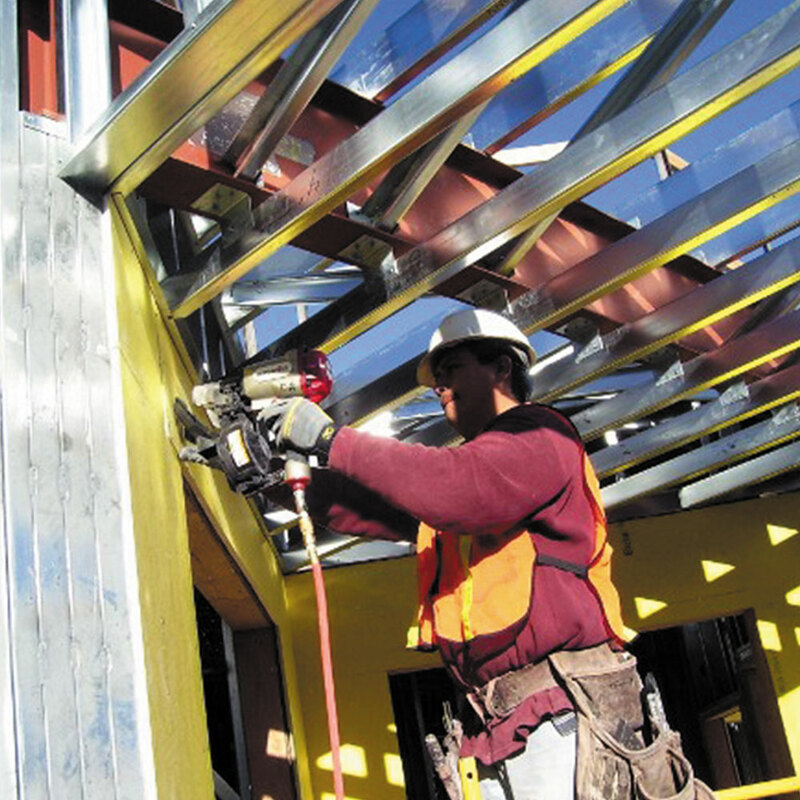 Reduces “down time” – Start hanging siding! OR go home early! Working on scaffolds has its own challenges. As a crew cheif surveyed his job site, he noticed screws were dropping to the ground from above. These screws were not picked up, and the chief estimated the loss was 30%. It was the fastener system and that the crew didn't have enough pressure to install the screws while on the scaffold. The solution? The VersaPin® fastening system.